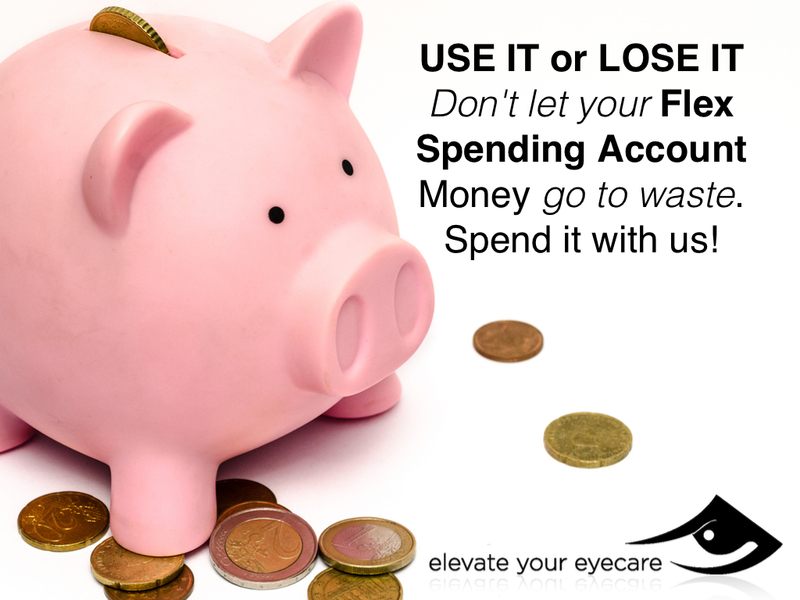 Have you taken full advantage of the eye care portion of YOUR FLEX spending account? It is the end of the year which means it’s time to use your flexible spending account (FSA) – use it or lose it! What is a flex spending account and why should you spend it with us? If you are wondering we have the answers for you! An FSA (also known as a flexible spending arrangement) is a special account you put money into that you use to pay for certain out-of-pocket health care costs. You don’t have to pay taxes on this money. This means you’ll save an amount equal to the taxes you would have paid on the money you set aside. You can use funds in your FSA to pay for certain medical, vision, and dental expenses, including copayments and deductibles. FSAs are available only with job-based health plans. Employers may make contributions to your FSA. You can’t spend FSA funds on insurance premiums. Ask your employer for more details about your company’s FSA plan. Why use your FSA with us? You can use the account money to pay for items and services that aren’t covered by your health insurance. The saving process also saves you tax dollars. You make FSA contributions via regular, equal payroll deductions. The amounts are taken from your paycheck before your withholding taxes are calculated, so you owe a bit less in federal income and Social Security taxes upfront. But the accounts have one drawback. In many instances, if you don’t use the money by the end of your benefits year, which for most people is Dec. 31, you may lose some of the money in your account*. So schedule your appointment with us today! *Contact your human resources department to verify the terms and conditions specific to your FSA plan.